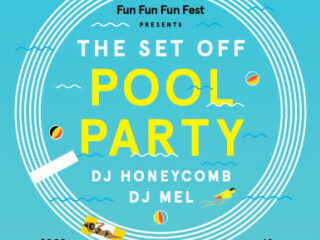 Fun Fun Fun Fest presents "The Set Off Pool Party"
As part of Fun Fun Fun Fest's on-going celebration of its tenth anniversary, you're invited to a very special pool party. Come hang while Austin's hometown heroes and FFF alumni DJ Mel and DJ Honeycomb take you back with summer anthems from the 1970s to the '90s! The team from Frank will be serving up their signature meat and veggie dogs while two private screening rooms show classic summer movies. Admission is 21 and up only.